TRY EVERY FLAVOR: Start with our Green Tea--then branch out! Get fruity with Pomegranate, Peach, and Lemon Tea. Tart it up with some Lemonade, or go half on an Arnold Palmer. Get amped with an Energy Shot, or take your drink to go with Iced Tea Stix. 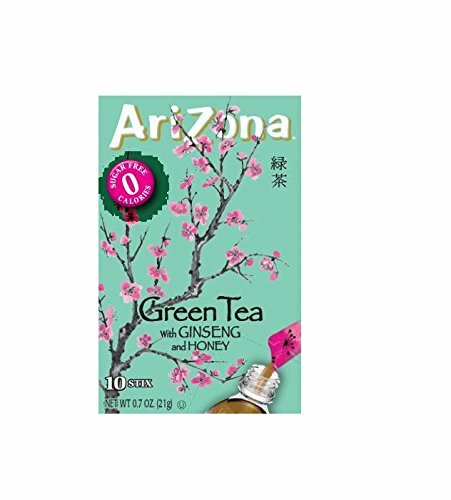 DRINK ARIZONA: In 1992 AriZona Iced Tea splashed onto the beverage scene with our iconic Green Tea. We now have a full line of thirst quenchers, including our Energy Shots, with caffeine to keep you going, & our Iced Tea Stix, for when you're on the move. If you have any questions about this product by AriZona, contact us by completing and submitting the form below. If you are looking for a specif part number, please include it with your message.